NASA/JPLThe Voyager 2 spacecraft launched from NASA’s Kennedy Space Center at Cape Canaveral, Florida, on August 20, 1977. The space agency recently fired Voyager 1’s thrusters, orienting the robot’s antenna toward Earth and helping extend its mission. However, both of the Voyagers nearly failed during launch in 1977. One probe refused to communicate with Earth while the other launched aboard a leaky rocket. More than four decades after NASA launched the Voyager probes, the twin robots are still humming along in deep space. In fact, on November 29, the space agency fired up one of the robot’s thrusters after 37 years of dormancy – and they worked flawlessly. The puffs of propellant rotated Voyager 1 into a position that helps it communicate with Earth from 13 billion miles away, where it’s travelling through the unexplored space between stars. The manoeuvre will ultimately extend the nuclear-powered spacecraft’s lifespan by up to three more years, according to NASA’s Jet Propulsion Laboratory. The Voyager mission is easily most exalted in NASA’s history; collectively, the probes explored Jupiter and Saturn more deeply than ever before, surveyed Uranus and Neptune for the first time, then left the solar system. But, as detailed in a PBS documentary film called “The Farthest“, which premiered in September and is now available to watch on Netflix, each probe almost didn’t survive launch. NASA/ESA/G. Bacon (STScI)An illustration of a Voyager probe leaving the solar system. Lift-off was flawless, but “things went crazy” in the probe, John Casani, the mission’s project manager, said in the film. 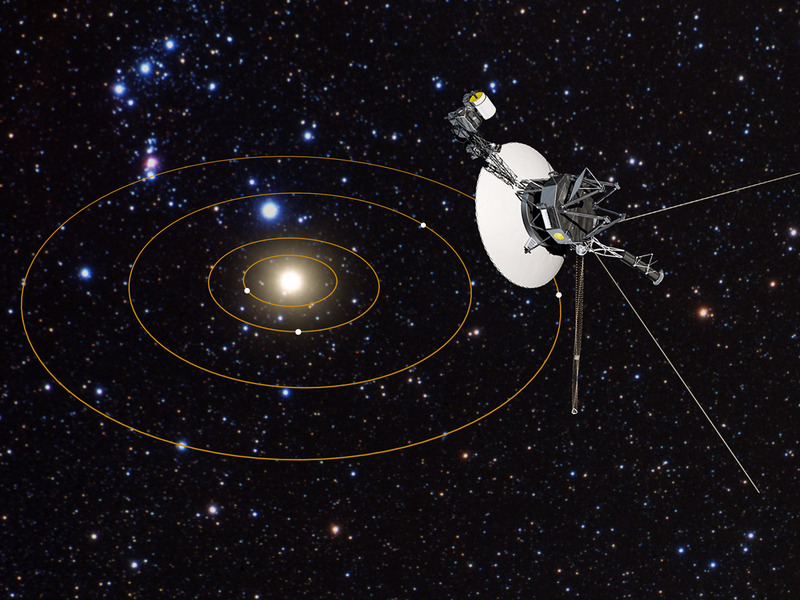 “The Voyager spacecraft had decided it just didn’t want to follow the instructions its human controllers were giving it, and it was going to do what it wanted to do,” Dave Linick, a Voyager engineer, said in the film. The problem: Voyager 2’s computer wasn’t programmed to handle the rocket’s twisting, shaking, and rattling on its way toward space – so the system went on the fritz. “For a couple of days, it was a real nail-biter. People were asking us, ‘have you lost the spacecraft?’ and we would say, ‘we don’t know for sure,’ because we didn’t,” Casani said. Luckily, the person who coded Voyager 2 managed to reestablish contact with the probe after several days, then patch its software as well as Voyager 1’s before launch. But Voyager 2 would have its own close call with failure weeks later. 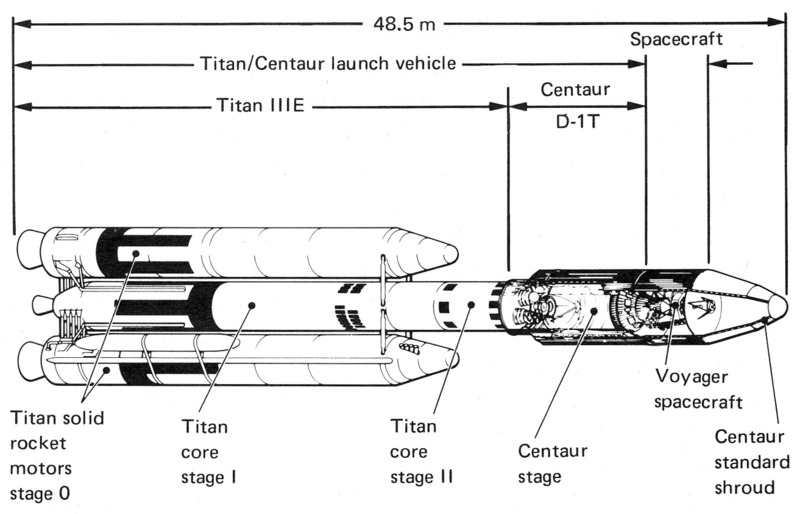 NASA via Drew Ex MachinaA labelled illustration of the Titan-Centaur rocket used to launch NASA’s Voyager probes into space. 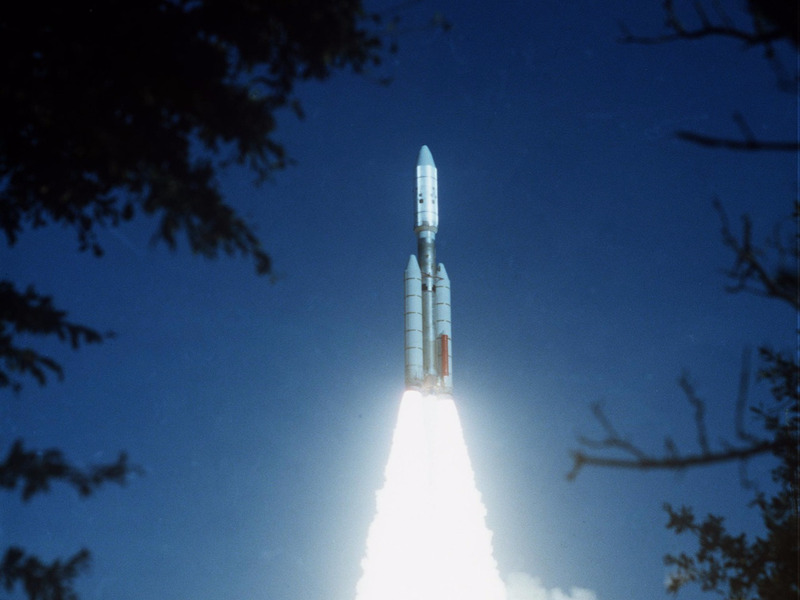 The faster-moving Voyager 1 probe launched from Kennedy Space Center on September 5, 1977, aboard a powerful Titan-Centaur rocket. 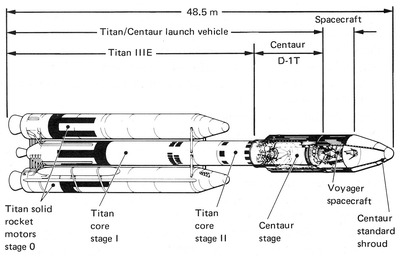 This launch vehicle had several stages: two solid-fuel boosters (stage 0), a liquid-fuelled first- and second-stage motors (stages 1 and 2), and an upper stage, called a Centaur, that housed the Voyager 2 probe. Each stage fired after the prior one ran out of fuel and separated, boosting the probe faster and faster toward Jupiter. “We’re thinking everything’s OK, and then we begin to hear something wasn’t right,” Charley Kohlhase, who was in charge of Voyager’s navigation and mission design, said in the film. Propellant appeared to be leaking from a fuel line that led to the second stage, draining the tanks. “The second stage never got to deliver its full thrust because it ran out of fuel,” Casani said. A computer in the upper-stage Centaur rocket knew it wasn’t travelling fast enough to reach Jupiter, so it started burning extra liquid hydrogen and oxygen fuel. Fortunately, he said, the Centaur had just enough – it cut off its engines with enough fuel to power only 3.5 seconds’ worth of thrusting. Had the Centaur not saved the mission, it “would have gotten almost to Jupiter, and then come back toward the sun, which would not have been good,” Casani said. Yet on March 9, 1979, Voyager 1 safely swung past Jupiter during its closest approach and went on to Saturn. Both probes sent back incredible images of the outer solar system, including the first (and so far only) close-up photos of Uranus, Neptune, and those planets’ moons and rings. And 40 years later, they’re both still cruising while sending back unprecedented details about the structure of our solar system and interstellar space.